This week we release a new kind of content with which we want to bring personal experiences of some good pilgrims; before and after embarking on the Camino and dozens of anecdotes that arise supplementing. The first pilgrim who dare to tell their memories on the Camino is nothing less than one of the youngest in crossing back in the early 90s, Jabo, who was "force" with his brother in a camp for which he did not even give the minimum age. It has been many years, almost 25, since Jabo sat with his older brother haversack (which was bigger than them) back to the Camino de Santiago with a camp that the brotherhood of San Juan de Dios organized all summers in Arzúa in the early nineties. Jabo went there with his brother in July of up to three consecutive summers, fortnights that the group of kids and monitors ended up always doing the final stages of a Camino de Santiago that had nothing to do with what it is today. Jabo tells us that especially remember those summers because he had to be the smallest of all the camp, because although coexistence was designed for children from 8 or 9 years old, his father was determined to "place them" both his older brother as to him a few days after spending a week together in family holidays. So it tells us that when the group arrived in Santiago, a Galician reporter (can not remember which media was) was determined to make a story for television, selling it as "the youngest pilgrim on the Camino" until that time. But the life of any pioneer is not as pretty as it seems, is that among the anecdotes that tells us our pilgrim notes that both his brother as he managed to survive two weeks with no underwear or socks (not that he needed it, he tells us), because in the rush between travel back and having to rush off to camp remained silent clean forgotten at home. So all day in bathing suits and cloth slippers without socks Jabo and his brother arrived in Santiago, when their parents pick them up to take them rushed to buy new clothes. "According to my mother when I got home my feet were blistered, but I was so normal, I do not remember anything". The camp of the Brothers of St. John of God was organized precisely by Father Miguel Pajares (first died from Ebola in Spain), tells us this pilgrim "had much to do, my father got on very well with him, because the sister of Pajares was his partner in the hospital and his nephew worked as a monitor in the camp. My father gave us a thousand pesetas each, but he left the father Pajares to administer us if we needed anything". Jabo tells us that everything surrounding the pilgrimage during those years was very different from what the Camino is today, because "there were far fewer pilgrims walking" and you could always find the hospitality of the people of the towns. "We moved in a group of 100 with the intention of sleeping in hostels, but almost never had place. The street people stopped us to see such a large group, they gave us fruit even some nuns we got to eat in Betanzos. On another occasion we were offered sleep in blocks, but in the end we slept in a sports hall. Some solution was always sleeping, "he says laughing. The camps were not like today, "the priests every morning they made us do gymnastics and one night that older misbehaved, we punished all doing exercises before breakfast." Talking to him we realize quickly that makes enough to Jabo not return to the Camino de Santiago, which tells us that now uninspiring entirely "by the massification" Finding, and "because it has lost the sense of effort ". 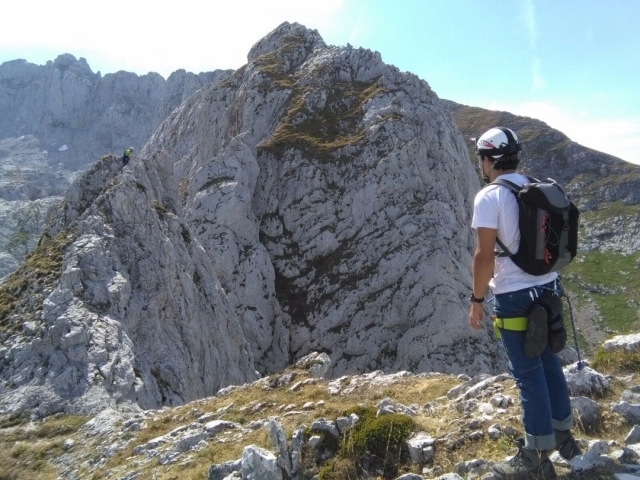 He says he prefers to miss "a few days in Picos de Europa and be more in touch with nature." "Many people today makes the Camino farther and farther away from Santiago, by Leon, Navarre ... because it is very well signposted and you are not even half pilgrims". Jabo ends up telling us the case of his father, another pilgrim family, who decided some years ago to make the walk alone from O Cebreiro with a great motivation behind. "Just that year was diagnosed with cancer two family friends and went there as a promise. At the end it got compostelana photocopied them and gave it to everyone". Our anonymous pilgrim also confirms how easy it is to create bonds of fraternity in the Way with other pilgrims: "just take the bus from Madrid towards O Cebreiro met another pilgrim, we walked together, shared shelters, they shared Camino and was getting Santiago, goodbye and even exchanged phone. " Obviamente el Camino ha cambiado mucho en 25 años, pero es inevitable, y es bueno para la economía. Aunque obviamente debe de haber un equilibrio. Increíble historia. El camino no deja de soprenderme. Buena iniciativa con estas historias, ya espero leer la siguiente.